CHINA, TEXAS. 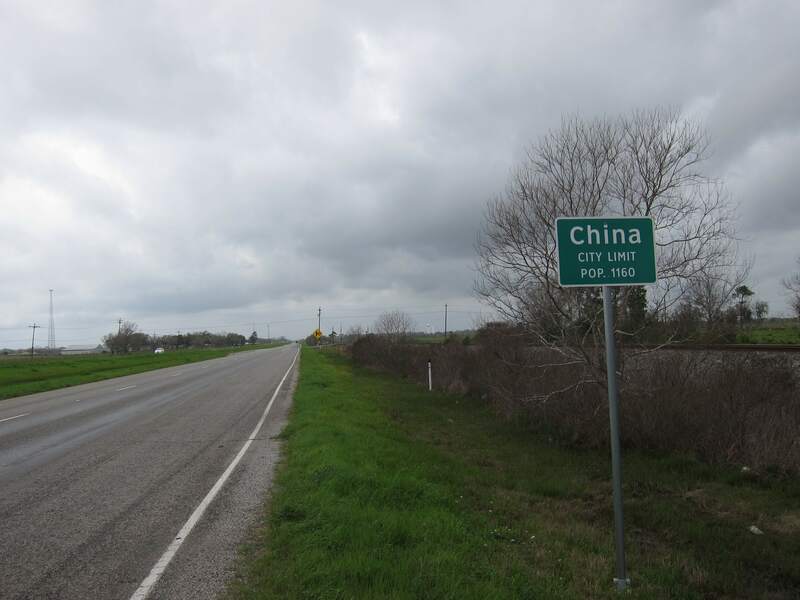 China is on U.S. Highway 90 ten miles west of Beaumont in northwestern Jefferson County. The Texas and New Orleans Railroad was completed through the area in 1860, and a water stop was established amidst a grove of chinaberry trees near the community's present location; the stop was dubbed China Grove. A post office by that name was authorized in March 1887 but was discontinued within two months. Another office, using the shorter name China, was established in 1893. Two miles east of China, Charlie Nash and Howell Land organized a separate community called Nashland, which had 174 residents in 1900. The new townsite plat was belatedly filed on October 30, 1902. When fire destroyed the older China depot to the west in 1906, the people of Nashland convinced railroad officials to move operations to the more populated community center. The railroad, however, stipulated that the new depot retain the name of China. The Nashland post office, established in 1900, was therefore renamed China. Agriculture provided the community with its economic lifeblood, and rice warehouses made it a center for the area's rice farmers. The South China oilfield, discovered in 1939, provided further growth. Although the community's population fell from an estimated 350 during the mid-1920s to 200 by the early 1950s, new discoveries of oil and natural gas at nearby oilfields in 1960, 1975, and 1980 brought new growth. In 1971 residents voted 118 to 88 in favor of incorporation. By the mid-1980s China had a population of 1,351 and eighteen businesses. In 1990 the population was 1,144, and in 2000 it was 1,112. ... I'd be a real pedalling fool then. If only riding a bike for transportation was as popular some 30 odd years ago (when I was going to school) as it is now! BTW, did you all notice that there are 2 Swedens in the road sign that Yueyin posted? Thank you for sharing the information. In fact, I passed by Beaumont, TX, on my way to Port Arthur several years ago. At that time, I didn't know China was only a 20 min drive from Beaumont! You really have sharp eyes! Thank you. But upon further examination with an online map, I noticed that Sweden, ME and Sweden, NY were both in the same general direction from China, ME. Since the arrows are pointing in opposite directions for the 2 Swedens on the road sign, apparently one of them is not what's involved. Furthermore, the distance between China, ME and Sweden, NY is about an 8-hour drive, much farther than the 232 miles indicated. Instead, there's a Town of New Sweden in Northern Maine(at the northern tip of the 48 states); not only is it in the right direction, but it's also exactly the right distance away from the Town of China, ME. Anyway, I have nothing better to do on a Sunday morning before the news programs start. Thank you! You are right. New Sweden seems to be a real Swedish colonial community in Maine. Hell for Certain is an Unincorporated community in Leslie County, Kentucky, United States. The unincorporated town of Dryhill, (37.1546° North, 83.4157° West), is the proper name of Hell for Certain, located 7 miles (11 km) north of the small town of Hyden. Dryhill became known by this name because it is located near Hell for Certain Creek. Rachmaninoff - "Floods of Spring"
Edvard Grieg - Lyric Pieces Op.43 No.6 "To Spring"
Beethoven - The Violin Sonata No. 5 "Spring"
In 2015, the vernal or spring equinox for the Northern Hemisphere (autumn equinox for Southern Hemisphere) will arrive on March 20 at 22:45 UTC, or 5:45 p.m. Central Daylight Time for us in the central U.S. In Chinese thought, spring is associated with the color green, the sound of shouting, the wood element, the climate of wind, things sprouting, your eyes, your liver, your anger, patience and altruism – and a green dragon. 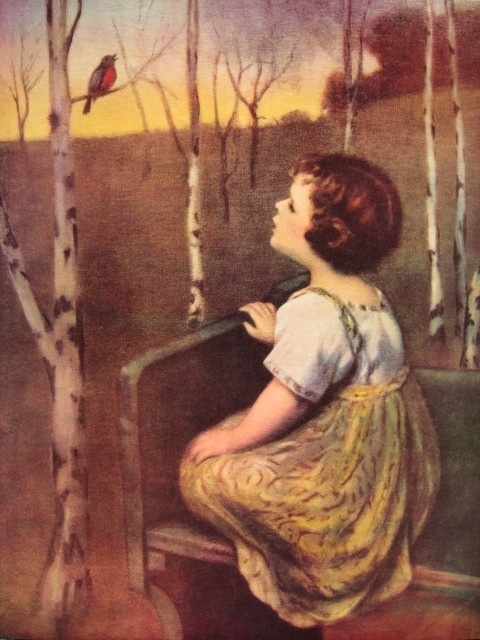 Not surprisingly, spring is also associated with the direction east, the sunrise direction as Earth spins us toward the beginning of each new day. Stand facing east, considered the direction of spring in this philosophy. Just stand for a few moments and honor the quality of east as it relates to the season of spring. Plant a garden. Sprouting and the color green are integral to springtime in both eastern and western philosophies. In Chinese thought, so are your eyes. Have you ever had the experience of straining your eyes, then resting them by taking a long car ride, looking at the many soothing greens of the landscape? I have. In the Chinese system of thought, your eyes and the color green, springtime and sprouting plants, all correspond. Fly a kite! Wind is the climate of spring, in Chinese thought. Shout! Let it go. Time to begin anew. The Chinese understanding of nature’s cycle seems fanciful, but once you begin to consider the five elements or phases of Chinese philosophy, you see them cycling in and around everything. All things sprout (spring), bloom (summer), reach completeness (late summer), become brittle and die (autumn), then rest (winter). You can recognize these phases in the course of relationships, over a workday, in the progress of a play or novel, in the process of aging, while eating a meal, in the growth of a garden, in a scientific or political or business enterprise, while playing a game. So enjoy this easiest of seasons … this beginning. Happy spring, everybody!